It's well known that Montana Sapphire is capable of showing some strong color zoning. 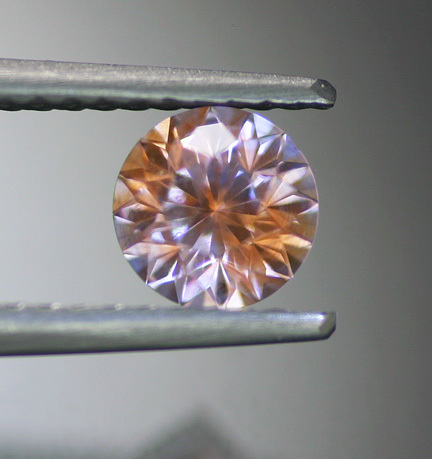 That said, we have never seen this combination quite like this before - a medium pink gem with a strong zone of orange; the result being what you might call an American Padparadscha! We picked this from a lot of several hundred Montana stones solely based on this attractive and unusual combination. Great cutting and a fine size round, this is a conversation starter for sure. Quite rare and decidedly lovely.